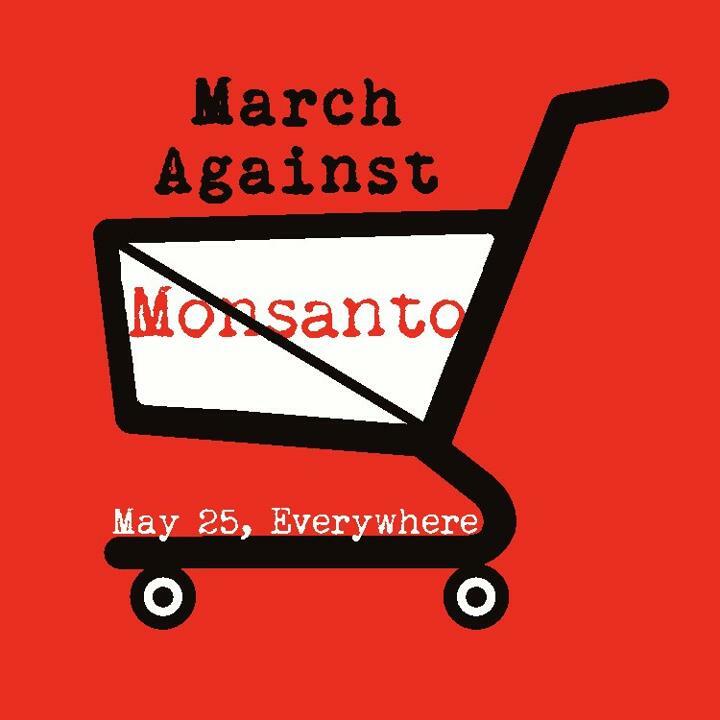 On May 25, people around the world will unite to March Against Monsanto. What solutions do we advocate? We will not stand for cronyism. We will not stand for poison. That’s why the world shall March Against Monsanto. Another month ticks by. This time in Bali. Let’s hope that when we collect our passports from the immigration office tomorrow they have extended our visa and we are legally here. A month in Bali has been necessary. 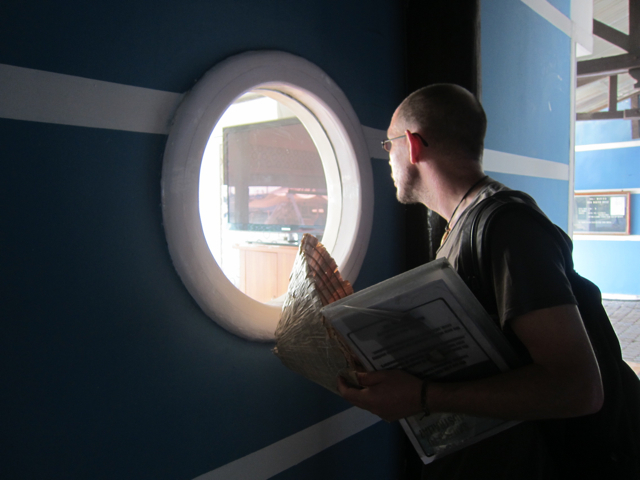 Looking for the allusive boat ride to Australia is a time consuming process. In bali there is certainly over-populated ever-consuming pre-apocalyptic tourist cauldrons like Kuta where we’ve been based for a few weeks now (see Nina’s blogs – Stars Over Kuta and The One That Got Away), but luckily when we were not fixated on marina opportunities, we got the chance to explore the insides of Bali too. 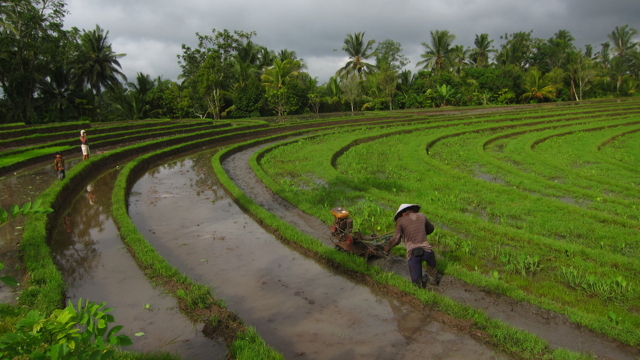 In contrast to the devastation that the overburdened holiday hotspots bring, Bali has some great regenerative, co-operative and forward thinking permaculture demonstration projects, disaster relief programmes and, dare I say it, “eco- tourism” facilities. Our fist visit to the “real” Bali was to IDEP, “a local Indonesian NGO, founded in 1999, that develops and delivers training, community programs and media related education to sustainable development through Permaculture, and Community-based Disaster Management.” Their words – best to check the website for more detailed information. The staff there were super friendly, helpful and also let us film an interview. 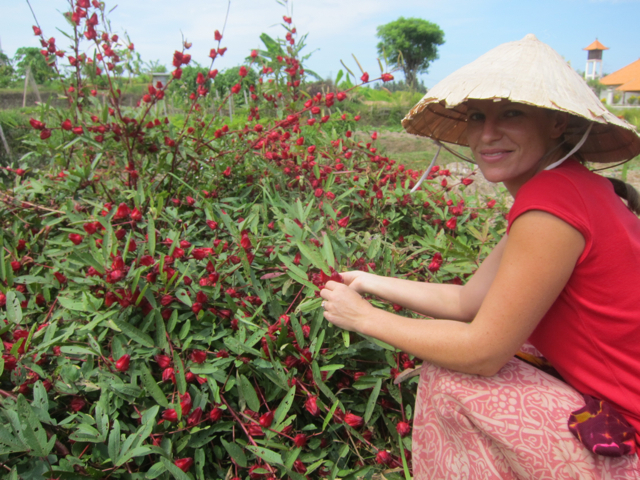 We bought seeds from their seed-saving programme and explored the gardens. We were so relieved to see folk making real positive change, a tough job. 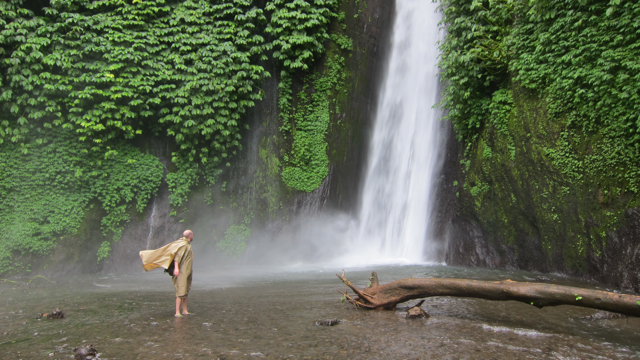 After slagging off “eco tourism” in my last blog I was dubious to visit our next destination. Not a planned visit. On a trip to some hot springs at the base of a volcano we saw a wooden sign for “Organic Farm & Stay“. We were actually looking for a place to kip for the night and also intrigued as to what they may be growing in this haven of coffee, cacao and rice. We decided to pay them a visit. We were welcomed by Wayan and Marjan who were keen to show us around. Wayan is a natural in front of camera and he explained their concept as the film rolled. 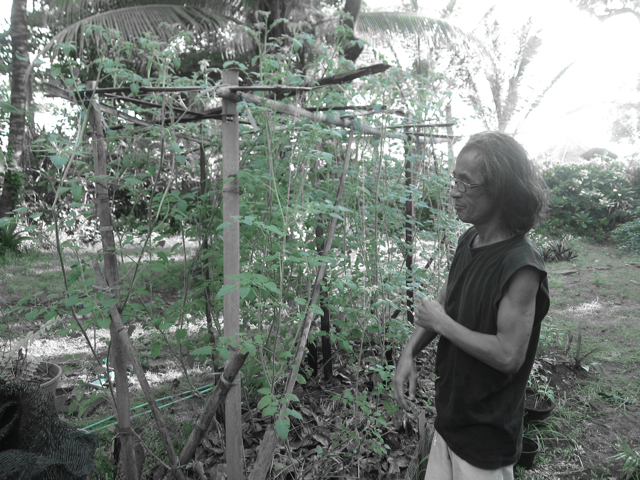 He told us how most farmers in Bali have resorted to chemical agriculture in recent years. Effective marketing from agro-chemical companies have convinced the farmers that their herbicides and pesticides are necessary along with their terminator seeds. At The Organic Farm Bali, Wayan explained that they are working with the local farmers in the village to move forward to organic only agriculture with his emphasis on “making farmers cool again”. The tourism side of this enterprise is the home stay. They ask that people who come have a minimum stay of two nights with the idea that they spend at least one full day learning techniques from the farmers in the two adjoining properties who are producing the food for the visitors. 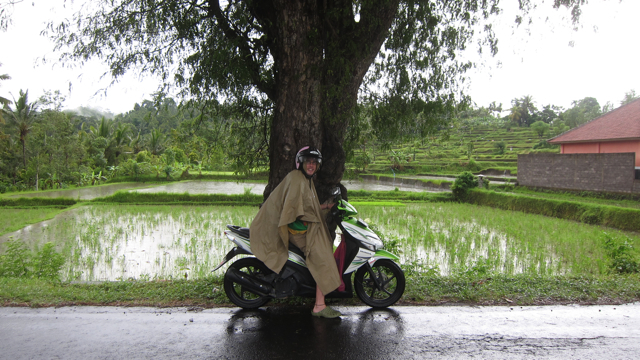 Whilst out on the road in inner Bali we managed to observe the “real” Bali up close and personal. Poodling on our bike, along the ridges of volcanoes, around lakes, through rice terraces and along country lanes in villages, we met with village folk selling their own produce, roasting their own coffee and harvesting their own cacao. The scenery was stunning and the landscape varied. 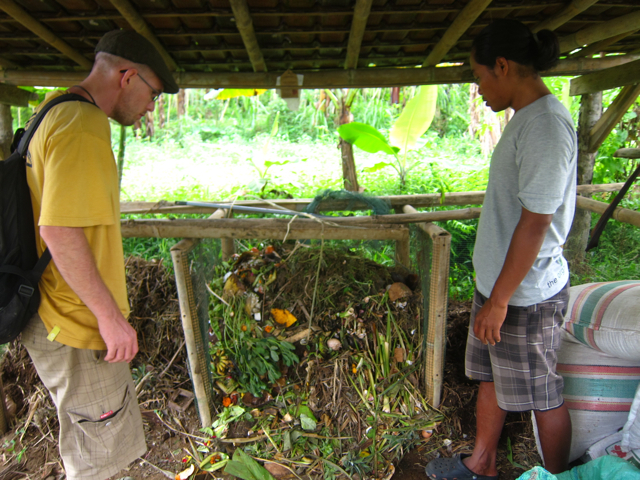 There are plenty of other interesting projects that we didn’t manage to see but if you are in Bali maybe you should check them out – R.O.L.E Foundation have an extensive teaching program, Green School has a worldwide reputation for sustainable education and Side by Side Organic Farm has also been recommended to us, helping Bali’s disadvantaged. Nina and I now reside in a house near the beach. We’ve been taken in by a Japanese man, Bhakto. We made friends with him whilst couch-surfing up in Ubud and he couldn’t bare the thought of us staying in Kuta another day. We’re happy that we all share interests, for him and I, permaculture and underground music, for him and Nina, permaculture and wellbeing. Next stop Australia?